The second season of popular period drama The Crown lands on Netflix next week and it has already caused some controversy by hinting at the supposed infidelity of Prince Philip. Claire Foy, who plays Queen Elizabeth on the show, has spoken out about why it was important for them to explore these rumours in the second series. “I think ultimately it would be very weird if we made a series where we pretended that Tony Armstrong-Jones was just a photographer, that Edward VIII never had any scandal in his life, and that Prince Philip was entirely devoted to the Queen,” the actress told The Guardian. One scene that will feature in the upcoming season will see Prince Phillip, played by former Doctor Who actor Matt Smith, engaging in flirtatious behaviour with Jackie Kennedy during her 1961 Buckingham Palace visit. The Crown also implies there may have been romantic involvement with the Duke and various different women on his 1956 tour of the Commonwealth countries. 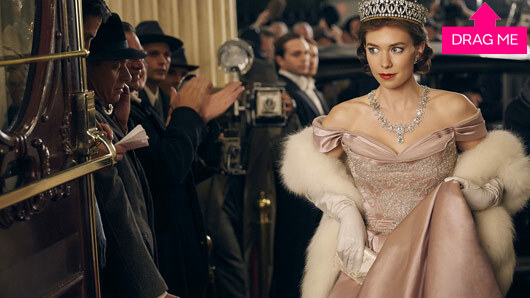 The Crown season two arrives 8 December on Netflix. The release date for the second series of The Crown has been confirmed in a brand new teaser trailer. 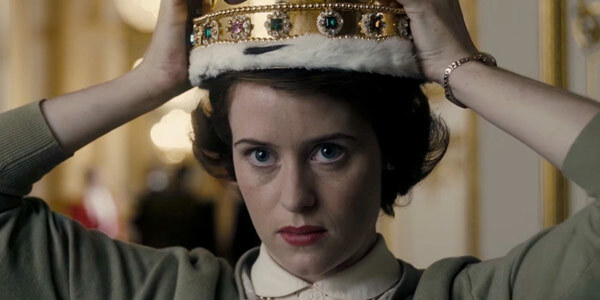 Starring Claire Foy as Queen Elizabeth and Matt Smith as Prince Phillip, the popular Netflix series will return for its next installment on December 8. The first trailer for season two of the drama debuted on Entertainment Weekly and introduces new cast member Matthew Goode, who plays photographer Antony Armstrong Jones, and Michael C Hall in the role of President John F. Kennedy. This will be Foy’s final appearance on series, after announcing her exit from the show earlier this year. After sticking with The Crown for two series, the actress admitted she is relieved to have not had a longer commitment to the role. Speaking at the BFI And Radio Times Television Festival, Foy said: “That’s it, I’m on the bench. I’m not even on the bench; I’m just in a different team on my own, unemployed! We’re gone, we’re gone. “That’s not a shock; we always knew when we signed up to it, and also not to be funny but it’s also a real plus. 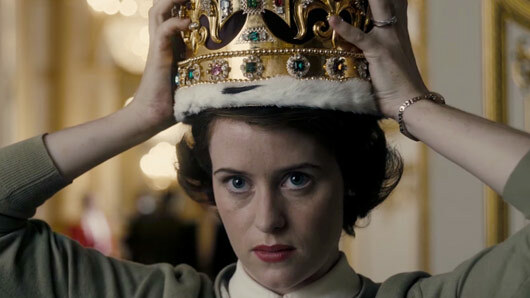 Claire Foy’s reign as Queen on The Crown is coming to an end, but it turns out she’s pretty happy about it. The Netflix period drama will recast the roles of Queen Elizabeth II and Prince Philip for future series, meaning both Foy and her co-star Matt Smith will not be returning to the show. After sticking with The Crown for two series, Foy admitted that she is relieved to have not had a longer commitment to her role. Speaking at the BFI And Radio Times Television Festival, the actress said: “That’s it, I’m on the bench. I’m not even on the bench; I’m just in a different team on my own, unemployed! We’re gone, we’re gone. No fear, The Crown fans. We still have another 10 one-hour episodes of Foy to look forward to as season two is expected to land sometime in November 2017. The Crown series one is available to watch on Netflix. The official trailer for Netflix’s new royal drama The Queen is here – and it looks pretty good. The new drama tells the story of a young Elizabeth II as she accepts her new role as Queen of England with the strong sense of duty and decorum that she is famed for. It explores the Britain in which she was throned, which had been savaged by two wars and the disintegration of the British Empire. The trailer begins much in the same vein as ITV’s Victoria, with the choosing of Elizabeth’s name as Queen. “Let’s not overcomplicate matters unnecessarily,” says Claire Foy as the young Elizabeth in perfectly clipped tones, “my name is Elizabeth”. She seems suitably burdened by her sudden transition to most powerful woman in the world. Next we meet Prince Philip, played by Matt Smith, as he learns he will always play second fiddle in his marriage. “Are you my wife or my Queen?” he asks angrily, but Elizabeth retorts: “I am both and a strong man would be able to kneel to both”. The next few scenes hint at marital, familial and political problems in store for Queen Elizabeth as she fights to maintain her dominance and hold on the country. We all know the ending to this one – spoiler, it works out fairly well – but we still can’t wait until November to finally watch it. The Crown will premiere on Netflix on November 4, 2016.